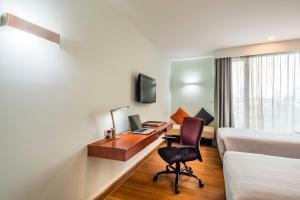 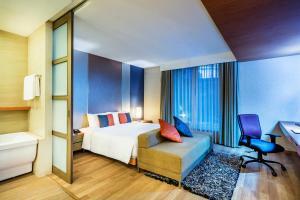 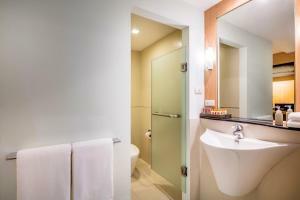 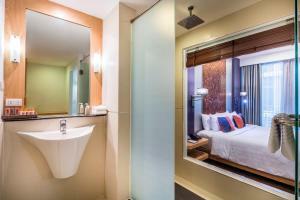 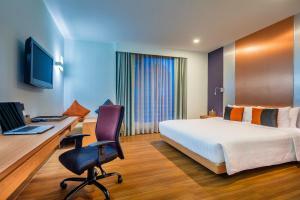 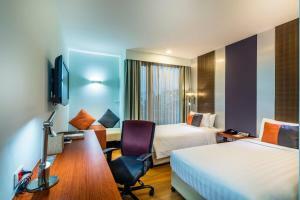 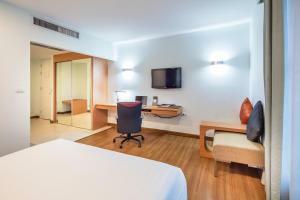 Hotel Solo, Sukhumvit 2, Bangkok is a boutique hotel offering stylish accommodation with free Wi-Fi. 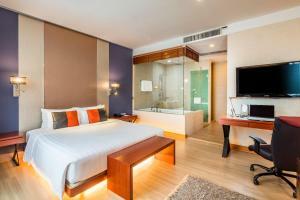 It has an outdoor pool, a restaurant and a free shuttle service to Sukhumvit Road. 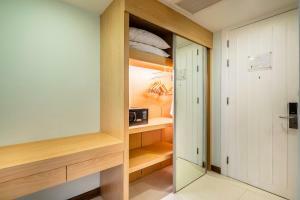 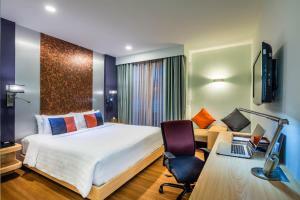 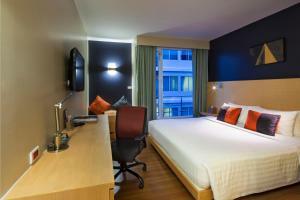 Solo Sukhumvit 2 Hotel is a 10-minute walk to Ploenchit BTS Skytrain Station and Ploenchit Centre. 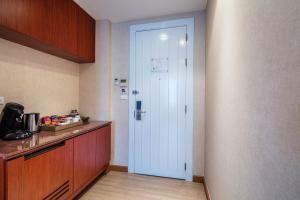 The hotel is a 35-minute taxi ride from Suvarnabhumi Airport. 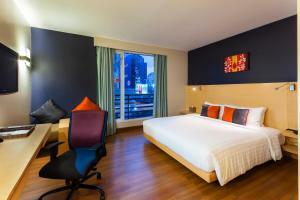 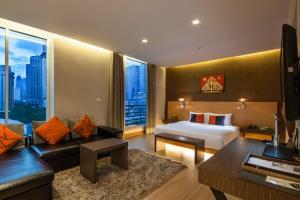 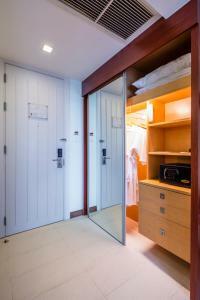 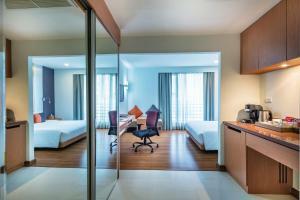 Rooms at the Hotel Solo Bangkok feature modern decor and wooden flooring. 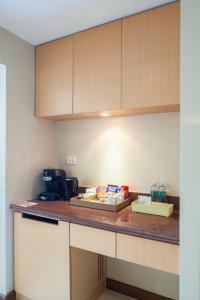 Each room has a flat-screen cable TV and an espresso machine. 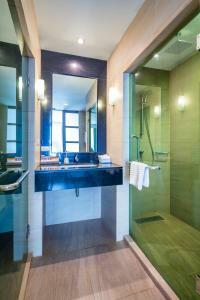 The private bathroom is equipped a rainshower and electronic scale. 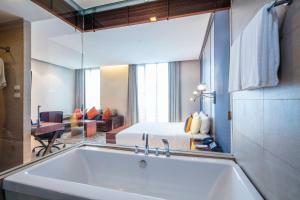 Guests can swim at the rooftop pool or make use of the free laptops in the lobby. 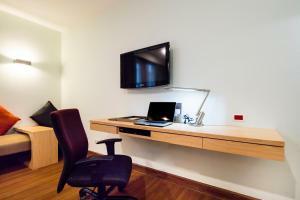 Day trips can be arranged at the tour desk. 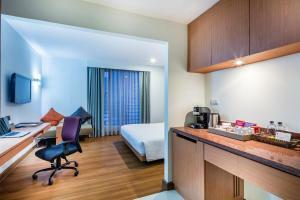 Solo Hotel Sukhumvit also provides laundry services and free parking. 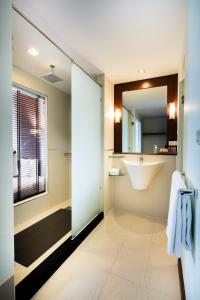 Sala Di Solo is an all-day restaurant serving Asian, Western and fusion dishes and has outdoor dining. 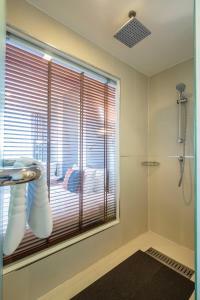 Guests can enjoy coffee and cocktails underneath the stars at the Cloud 9 Bar. 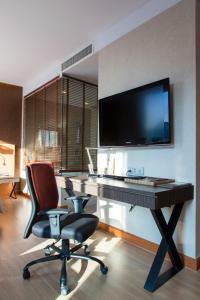 This well-appointed room includes a writing table, fiber optic bedside reading lights, a sofa corner and a safe. 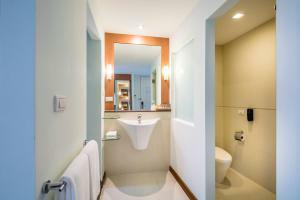 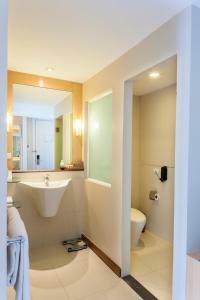 The ensuite bathroom offers a separate toilet and shower. 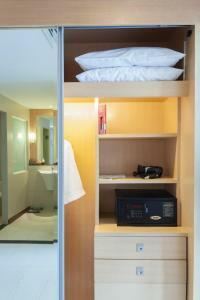 Room has a fully-equipped minibar and a coffee machine. 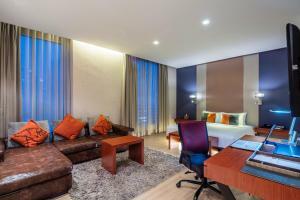 Rate: THB 1920.00 ... THB 10000.00; select dates below to get current rates. 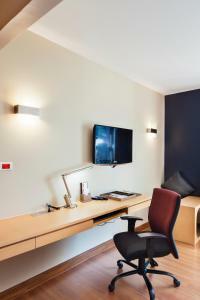 This larger well-appointed room includes a writing table, fiber optic bedside reading lights, a sofa corner and a safe. 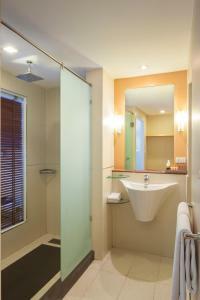 The ensuite bathroom offers a separate toilet and shower. 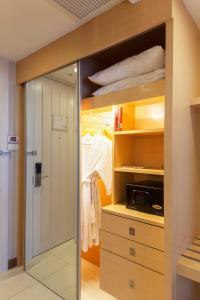 Room has a fully-equipped minibar and a coffee machine. 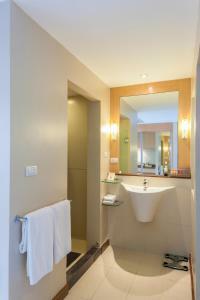 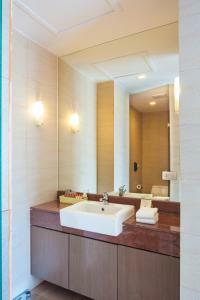 Suite located at the top of the hotel offers views of the city and bathroom with bathtub. 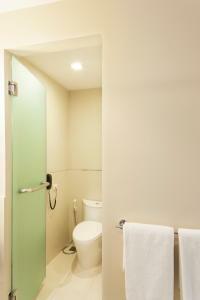 It has a separate living room with spacious working and seating areas.